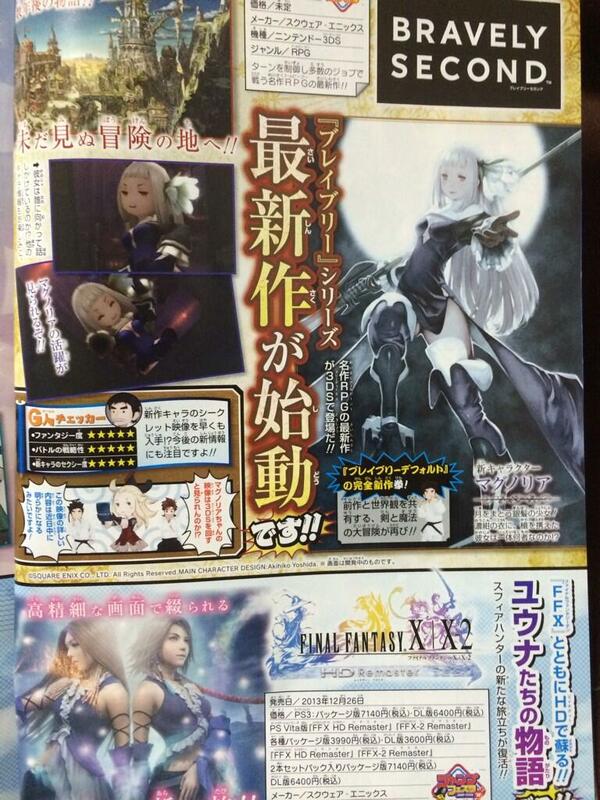 Bravely Second revealed in this week's Jump. This week’s Jump reveals Bravely Second, a sequel to Bravely Default, for 3DS. Bravely Second is set in the same world as the original game. Players will embark once again on a great adventure of swords and magic.